Have you heard that Dark Souls 3 will be locked to 30 fps on the PC? Well forget that! Seriously, forget it. Because it's wrong. And that's really all there is to it. I'm not sure where the idea that DS3 would be locked to 30 fps came from, given that its predecessor is built for 60 on PC, but whatever the source, this, from the official Dark Souls Twitter account, is unequivocal. If you've got the rig, From Software has the frames. Not confirmed: whether it'll support unlocked resolutions up to 144, for all you high refresh monitor owners out there. 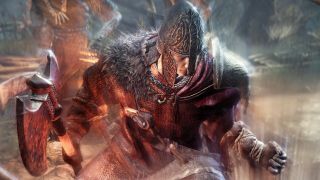 Dark Souls 3 comes out on April 12. While you wait, we've got a couple of previews for your enjoyment and edification, one with lots of words, and another with lots of video.